I want magic jars of elixirs. Potions that take away the bad. I may have a heart full of love, but it does little to soothe a scratchy throat, a tummy ache, a relentless, draining cough, or a runny nose. Somewhere, among all those herbs, the ones we overlook as weeds, is the potential to heal all our diseases; and we are just barely scratching the surface to all that potential out there. Sure, the pharmaceutical companies have the exact remedy we need; but it comes with a long list side effects we’d like to avoid. And now all of us know about the dangers of their cough syrups. I want those magical jars so that I can offer something that soothes and heals – something tangible that overflows from that heart full of love of mine that just aches to take away the hurt. I think I’ve found it. A simple little jar of honey, ginger and cinnamon – preserved in a way that activates the entire potential of each element. In less than five minutes of your hands-on time, you can whip up a jar of Ginger/Honey/Cinnamon. The “patient” can have either the “syrup” or the “ginger” depending upon their own palette and preferences. Once you use some, replenish your supply to keep a continuous potion. You don’t have to ferment this — you can simply mix the ginger, honey and cinnamon together and store in the fridge, but it will be much better if you do. In this case, this will only involve letting the mixure sit at room temperature for a week or so. Stirring, if you remember it. (Time, a few weeks, will take care of the fermented part.) But until it ferments, you can still dip your spoon into this mass of goodness and let it do its healing work. Honey: Sweet tasting, but also, powerful. In a study that involved 139 children, honey beat out dextromethorphan (a cough suppressant) and diphenhydramine (an antihistamine) in easing nighttime cough in children and improving their sleep. In the laboratory, honey has been shown to hamper the growth of food-borne pathogens such as E. coli and salmonella, and to fight certain bacteria, including Staphylococcus aureus and Pseudomonas aeruginosa. Cinnamon: Soothing taste and aroma. More importantly, it’s antiviral and anti-fungicide, and one of the key ingredients in the 7 thieves remedy. 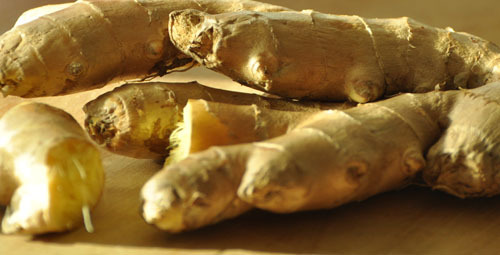 Ginger: It’s pungent and spicy, and because of these qualities, ginger acts as both an antihistamine and decongestant. 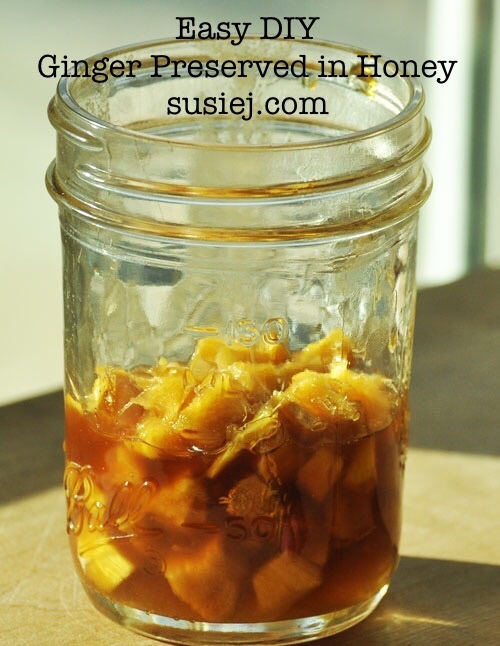 Ginger heats you up from the inside out, so that you can fight off those pesky infections. In fact, recent research has shown that honey can be used to relieve sore throats and coughs. When studying children with cold symptoms, researchers found that taking honey was actually more effective at relieving coughs in children and was rated more favorably among their parents than cough medication was. Chop the ginger into bite-sized chewable morsels. Place in a jar, and sprinkle with powdered cinnamon. Add a stick or two of cinnamon if you have them. Pour honey on top – but leave plenty of head room, 2-3 inches – because this will start to bubble and foam, and then settle back down. Stir, and then place a lid on top. Let this “ferment” for about a week to ten days at room temperature. Stir each day; there will be changes in the consistency each day. You will notice, over time, that the honey will become less thick, as the water from the ginger is released into the honey. Move to the fridge after 7-10 days. Stirring can stop now. You’ll be ready, the next time they need you. So, there you have it. A cold/flu remedy that will taste like a “treat” and does some good. A magic jar of an elixir.